The best healthy raw cakes | Get ready for party in mouth action! The best healthy raw cakes | Party in mouth action! What the bleep?! 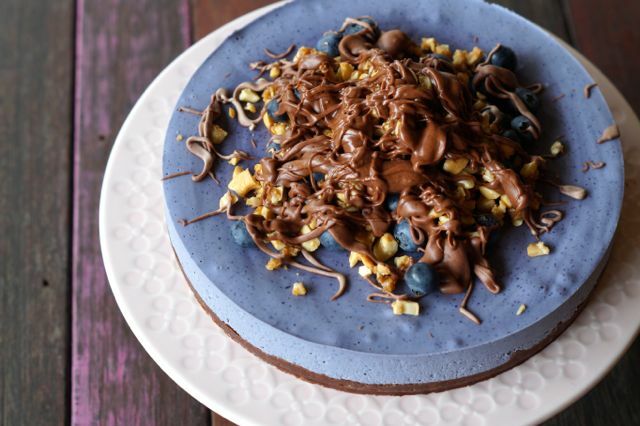 Why haven’t we written about our BEST healthy raw cakes before? We’ve made THAT many raw cakes so it’s about time. 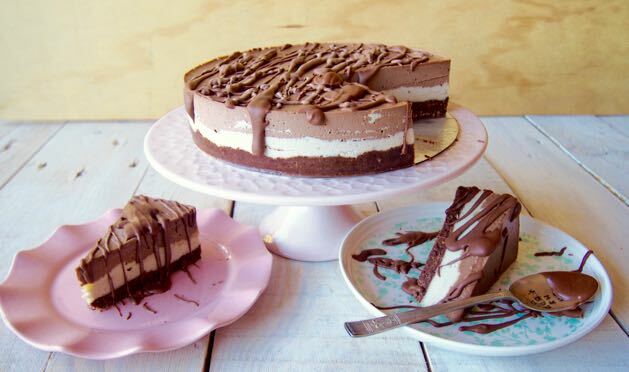 All of these cakes can be made vegan and paleo. So win-win for you, whatever your dietary requirements may be! Ohhhh yeh! Also, win-win for your friends because we highly recommend you whip one of these delish cakes up and share it with all your loved ones. Or keep it to yourself, whatever floats your boat! But… please cut up and freeze. Reminding you: raw healthy cakes are not so healthy when you eat the whole thing in one go. Clear? Yep we clear. Get ready for drool-worthy goodness. This cake is currently going cray cray. It’s being shared and made all over social media… for very good reason! It’s total heaven in mouth delicious! OK, the biscuit topping is actually baked, but the rest of it is raw so skip the topping OR make a raw version! YUM. Get the recipe right HERE! 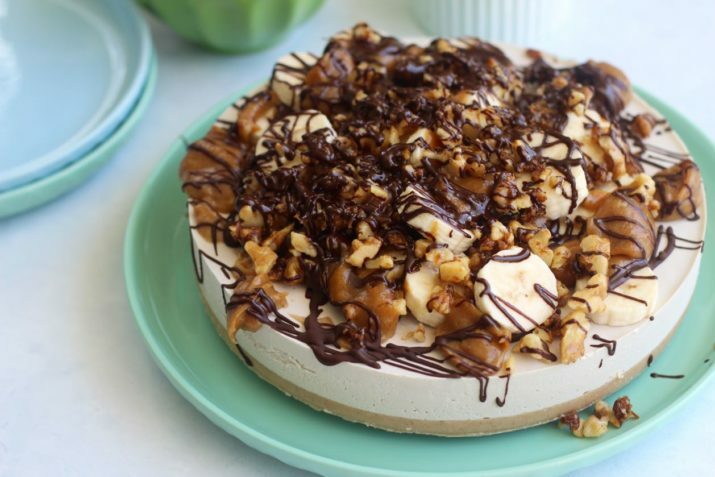 You’re gonna go bananas for this recipe! Oh yeh we went there. 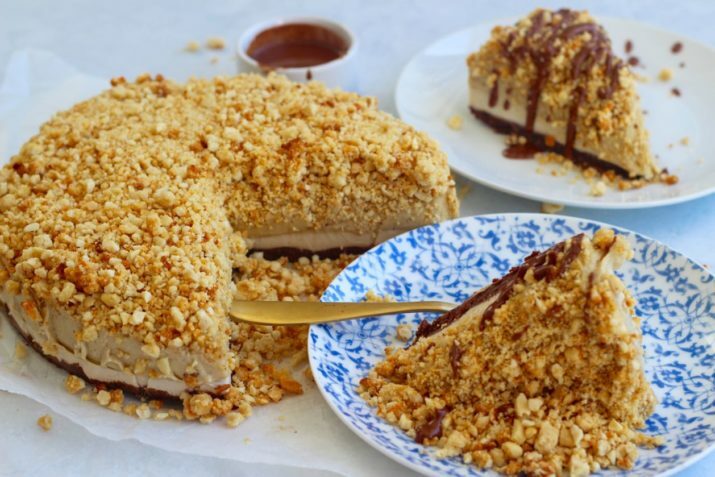 Banana and toffee goodness turned into one epic merry raw cake! Grab the recipe right about NOW! Far out we won’t be able to pick a favourite from all these recipes! 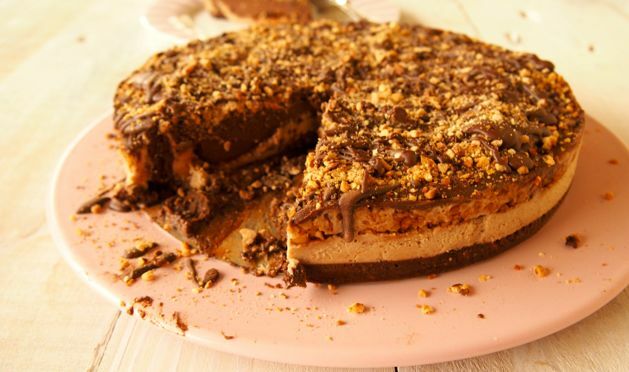 This raw mars bar cake is EPIC! It looks good, it tastes good. It’ll impress anyone you invite over for dessert! Check out the recipe HERE! Talk about fun and yum! Yes the layers make it a little more time consuming but hello one good looking raw cake! Super delish and perfect for people who don’t love chocolate (who are you? Hehe). Grab the recipe NOW! 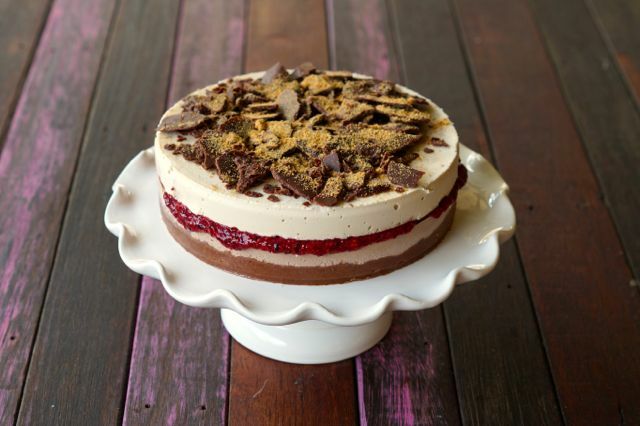 It’s funny how a few toppings make any raw cake epic! Super easy with just a base and one layer… skip the toppings or add them for the fancy but completely messy factor. Grab the recipe over HERE! Ahhhh hello you delish thing! One of our most most popular recipes from our site! Hmmm wonder why? So freaking yum. 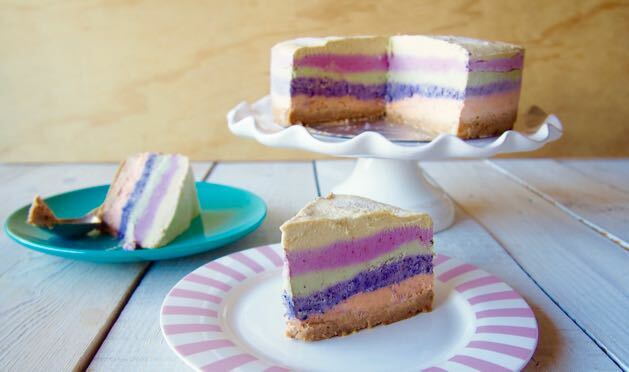 We think you should make this cake. Grab the recipe HERE! Ok, yes we do have a lot of healthy raw cakes our site! Whooooops! The berry chia layer is everything magical. Get the recipe right HERE! Yes we do love layering! Sahhh pretty and worth the extra steps. This one is perfect for the chocolate lover (cuz it’s triple choc yeah!). Get the recipe NOW! This recipe has been a long time favourite for us! Chocolate + raspberries = best food combo ever! Try this recipe NOW! 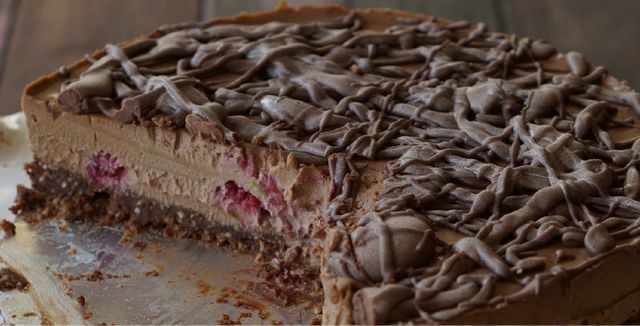 This raw tart slash raw cake is magic! Officially our favourite sweet treat (yes we say this a lot… but this one ACTUALLY wins!). It’s so good! It’s actually also our favourite recipe from our new book, Get Merry. Grab this recipe plus 94 others when you order a copy of our book in hard copy or ebook! Get all the info over HERE! Speaking of salted caramel we just have to include this recipe. It’s the most popular recipe from our site. 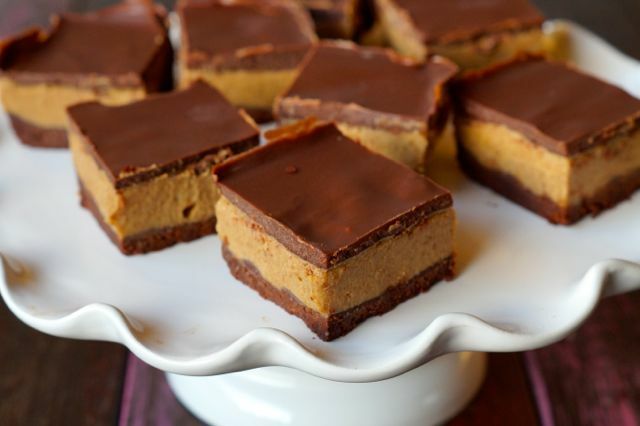 So easy, so delish, raw, paleo, epic! Get the recipe NOW! 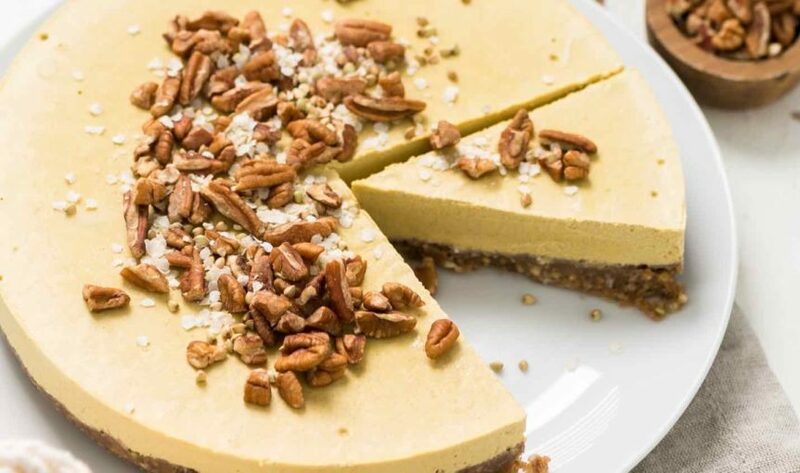 Adding coffee to a raw cake is a great idea… trust us 😛 Get the recipe right over HERE! 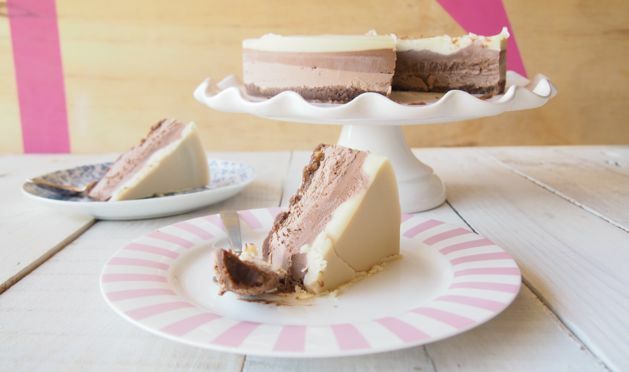 Another perfect raw cake if you’re over the chocolate thing (seriously?). Love that lemon citrus flavour! Grab the recipe NOW! 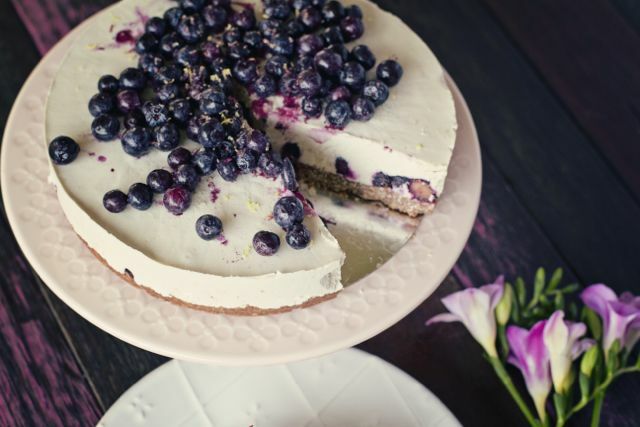 Ok. Now off you go and whip up one of these delish healthy raw cakes! Or… if you’re keen for a Merry mission make all of them! Not in one go… but tick them off! Um, best mission ever! P.s the feature image is another epic sweet treat recipe from the Get Merry recipe book! It’s got 2 vegetables in it… so you could have it for lunch or dinner really!